Scratch 3.0 will be released publicly soon. 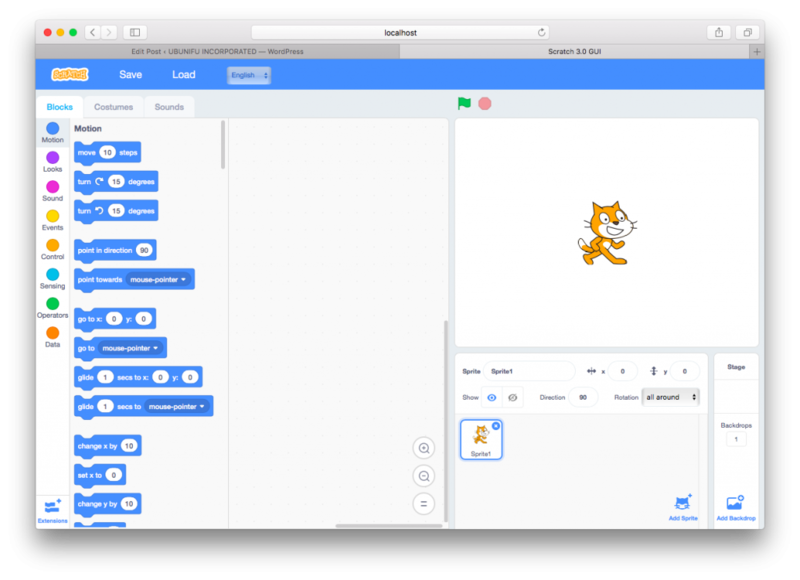 This is a guide to setup for Scratch 3.0 on the npm. I’ve set it up on my MacBook. * You should install the homebrew, before preceding. # vi .bash_profile … Adds these lines. 3. Check see if it’s running. Look and feel is good. I guess Custom blocks is not implemented yet. 😻Also you can access official version from here. ← Android: Couldn’t create directory on external storage.